A screenshot from the CCTV footage of the robbery attempt. This might just be the funniest thing you see today. Police in Colorado, US, have released CCTV footage of a would-be-robber who tried to rob an e-cigarette store in Aurora, but failed miserably. The hilarious footage shows a man wearing a cap and sunglasses entering the store, walking up to the cashier and pulling his gun out. However, in a tragic turn of events for the unidentified robber, he drops his gun across the counter - right at the feet of the cashier. After attempting - and failing - to climb over the counter to retrieve his gun, the man flees the store. CCTV footage shows him running out of the store at top speed, frantically pulling his pants up as they fall to his knees. According to The Denver Post, the not-so-smooth criminal struck at about 5.30 pm on Sunday evening. Since being shared online just 12 hours ago, the video has already collected over 23,000 views and hundreds of amused comments. 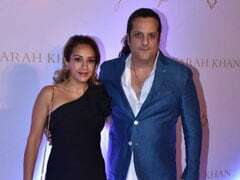 "He should turn himself in solely for that display. Drops the "gun", can't climb the counter, jump kicks the door to leave? And has to run away pulling his pants up," writes one commenter. "Haha this is the best thing ever!" says another. 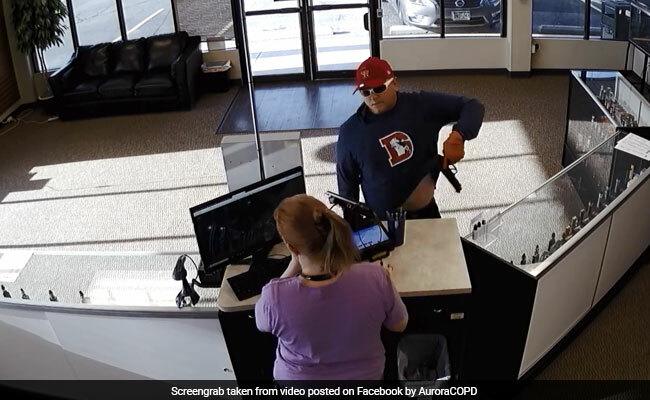 "I don't want to downplay the seriousness of an armed robbery, but the guy really does belong in the 'world's dumbest criminals,'" said Chris Burgess, owner of the store, to The Denver Post. "He needs to find a new career." Aurora Police are now trying to identify the robber.